A swivel rocking reclining chair is a great way to update your bedroom or complete the look of a family room or den. Create a spot that can be your special place to unwind, watch TV, and most importantly relax. This chair features a separated seat back, track arms with pleats and a padded chaise. 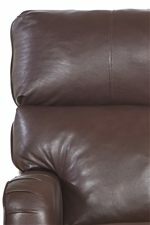 With its rocking, swivel and reclining base you can gently rock back and forth ,move side to side or fully recline. A swivel rocking reclining chair is a great way to update your home with comfy style and seating. The Axis 25803 Transitional Swivel Rocking Reclining Chair by Klaussner at AHFA in the area. Product availability may vary. Contact us for the most current availability on this product. 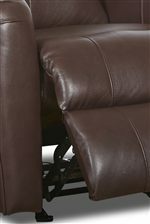 Base Description Hidden swivel rocking recliner base. 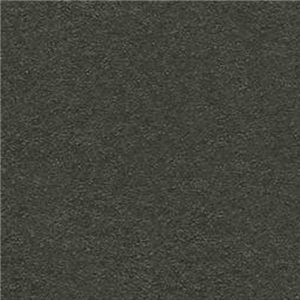 The Axis 25803 collection is a great option if you are looking for Transitional furniture in the area. Browse other items in the Axis 25803 collection from AHFA in the area.